The City of Melbourne continues to bring itself into disrepute and highlights the stupidity of its administration. 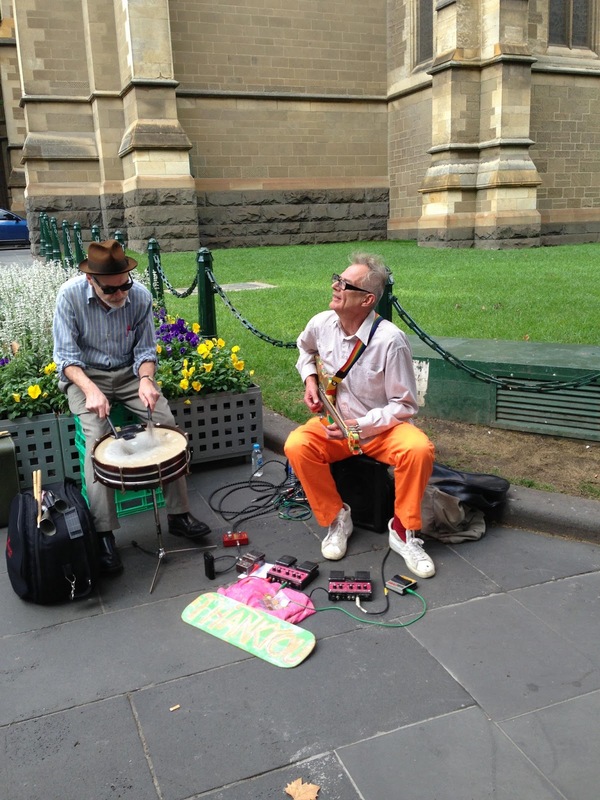 Melbourne and international visitors to our city were given a rare and magnificent impromptu concert from Australia’s Rock legend and arguably the best guitarist in Australia, Ross Hannaford of Daddy Cool and Mondo Rock fame. Hannaford accompanied by a percussion drummer had set up on the corner of Flinder’s Lane an Swanston Street and soon attracted a sizable and appreciative audience. It was one of the best street performances I had seen in a long time. Ross had a busking permit. Within a a few minutes of his performance Melbourne City Council Officer, Michael Kuma, oblivious as to the quality of the music on offer, moved him on. It turns out he was on the wrong side of Flinders Lane. For those who know the work of Ross Hannaford this was akin to asking Sting or Jimmy Hendricks busking on the main street of London or New York, to move on . If ever there was an example why Street Trading and Busking should be removed from Engineering Services this is it. Stupidity at its best. Top honcho lycra wearing Geoff Robinson, head of Engineering Services, has no idea of what makes a great city. Clearly there are problems with Street Trading being under Engineering Services. 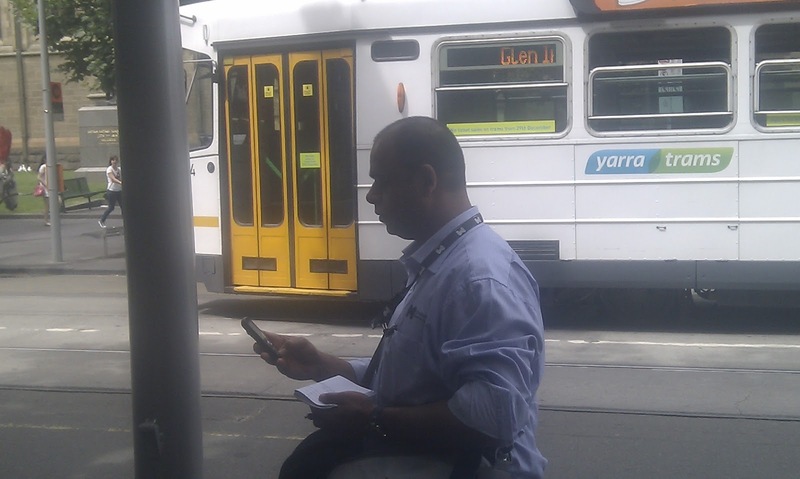 It seams all the problems facing the City of Melbourne of late arise from Robinson’s department, be it his autocratic style of management or his constant harassment of Street Traders to the detriment of the city. The sooner the City of Melbourne transfers Street Trading to the Small Business Tourism portfolio the better off we will all be. Melbourne and international visitors to our city were given a magnificent impromptu concert from Australia’s Rock legend and arguably one of Australia’s best guitarist Ross Hannaford of Daddy Cool and Mondo Rock fame. Hannaford accompanied by a percussion drummer had set up on the corner of Flinder’s Lane an Swanston Street as soon attracted a sizable and appreciative audience. It was one of the best street performances I had seen in a long time. Ross had a busking permit. Within a a few minutes of his performance Melbourne City Council Officer, Michael Kuma, oblivious as to the quality of the music on offer moved him on. It turns out he was on the wrong side of Flinders Lane. For those who know the work of Ross Hannaford this was akin to asking Sting or Jimmy Hendrick, busking on the main street, to move on . If ever there was an example why Street Trading and Busking should be removed from Engineering Services this is it. Stupidity at its best. Engineering services is not the appropriate department to advocate or develop policies to encourage and manage Street Trading. The sooner the City of Melbourne Transfers Street Trading to the Small Business Tourism portfolio the better off we will all be.